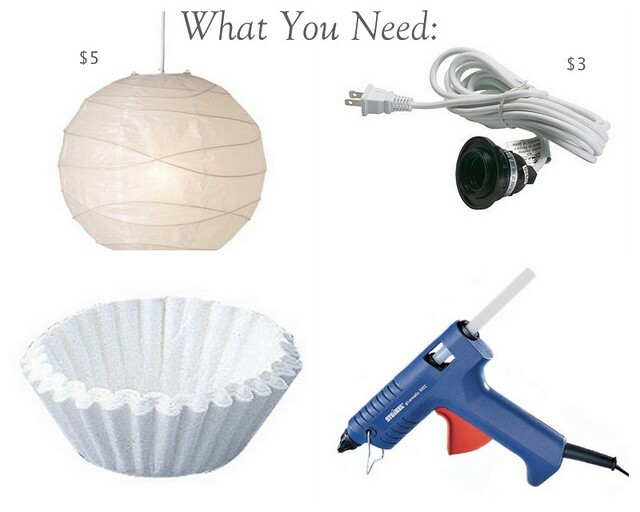 To try to keep the cost down of decorating my new apartment, I decided to dive into the world of home DIY (with the help of my super artistic and crafty Mom). 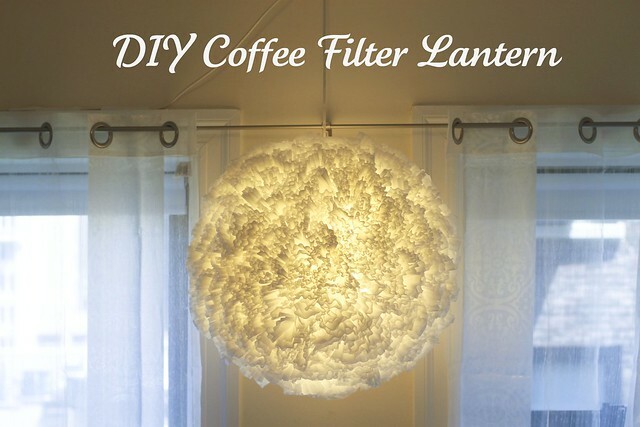 First up was a giant coffee filter lantern that is now one of the big focal points of my room (I use the term "room" loosely here as room also means apartment as a whole). 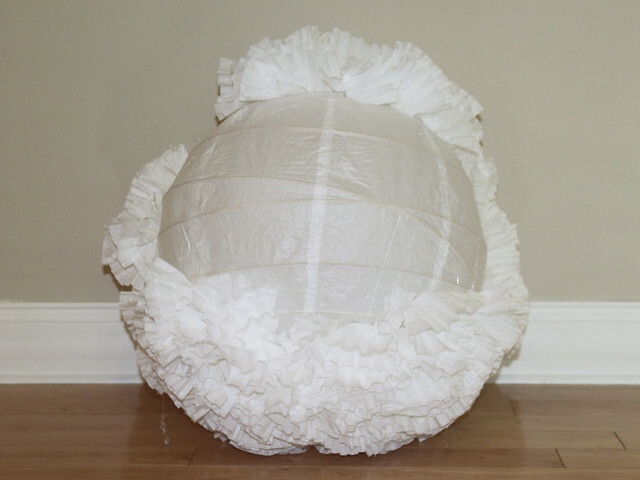 Because a lot of my apartment is white, this giant ball of fluffy light helps bring in some texture and depth. It's also really, really easy to do! I picked up both the lantern and the cord at Ikea for next to nothing! 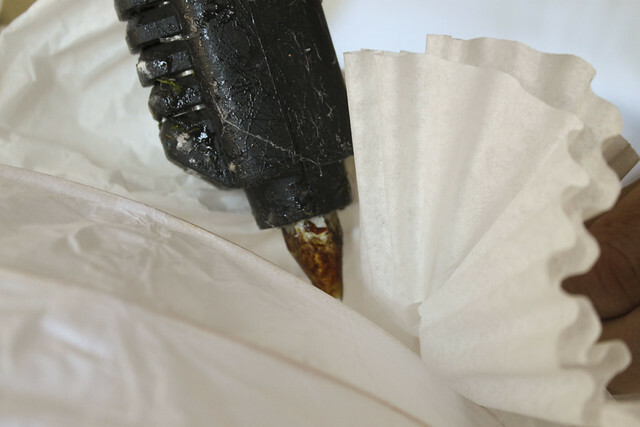 To start, place a dollop of hot glue on the spot you want to fill then scrunch the coffee filter so that the bottom forms more of a point. 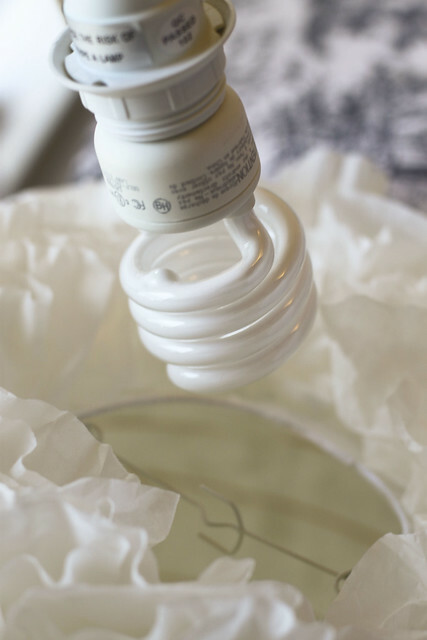 Place the scrunched filter on the glue and hold for a few seconds. Continue around the lantern until every spot is covered. Once the lantern is covered, screw the bulb to the cord and insert into the opening of the lantern and secure the cord around the wire so that the bulb hangs directly in the center of the lantern. That's it! So easy and soo inexpensive to make! Hanging it is actually the most challenging part of the whole process. Here's an easy cheat sheet below you can take if you want to replicate, pin, etc.